If you were a district manager for a large retailer, a free-lance performer living from job to job or a homeschooling mother of three, how would you take the news that you had breast cancer? It’s a disease that affects people from all walks of life; it is unpredictable, and it often forces formerly independent women out of work. What do you do when the mortgage and monthly utilities become just as much of a worry as surgery and chemotherapy? This is why Santa Clarita local Colleen Shaffer founded Circle of Hope. While other breast cancer organizations focus on finding a cure, Circle of Hope wants to help clients where they are today, addressing their immediate financial needs. Founded in 2004, Circle of Hope has been under the leadership of Executive Director Ray Tippet since 2010. After working in the national non-profit arena for many years, Tippet was looking for a change closer to home. His wife had been diagnosed with breast cancer a year earlier, so the opportunity to direct Circle of Hope seemed like a perfect fit. He said that being able to help people in need makes all the long hours worth it. 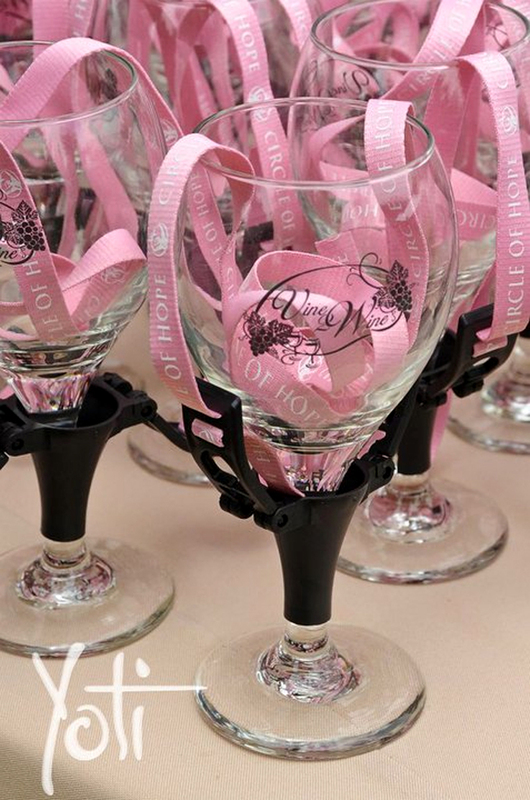 This year, Tippet invites the Santa Clarita Valley to join Circle of Hope for its Vine 2 Wine Classic fundraiser on Saturday, Aug. 18, from 6:30 p.m. to 10 p.m at the Santa Clarita Activities Center. 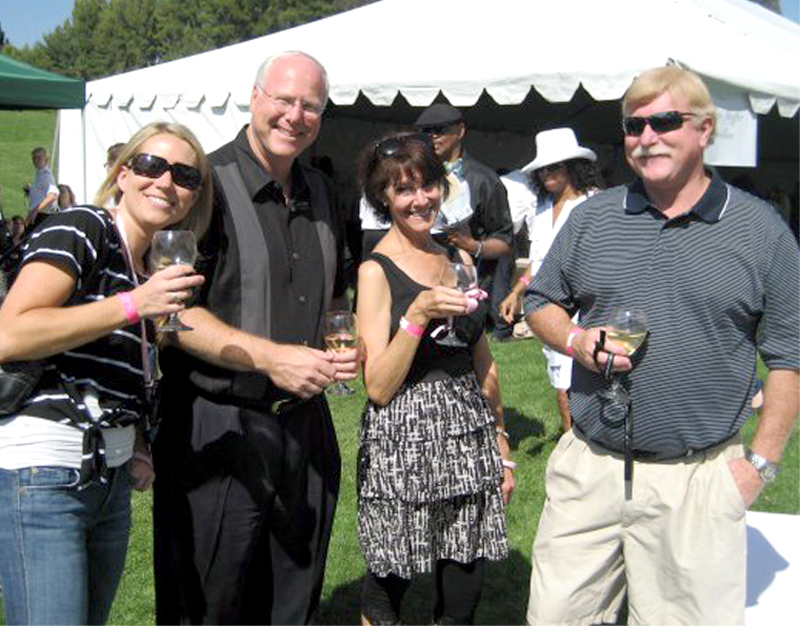 A combination of the SCV Wine Classic and the Vine 2 Wine event, the fundraiser is a rebirth of a decades-long tradition in the SCV and an opportunity to enjoy gourmet good, live entertainment and premium raffle prizes, in addition to the wines. Tickets can be preordered for $65 or purchased for $75 at the door. A ticket entitles you to unlimited tasting of fine wines and beer, library wines donated by local collectors and food provided by the Hidden Havana Cuban Café and Salt Creek Grille. Silent auction items include bottles of wine, wine-related accessories, works of art and entertainment packages. The event also offers a special opportunity for the first 40 guests to make a $100 donation to Circle of Hope. One bottle of 1863 Bual Madeira has been donated and will be available for tasting. It is your opportunity to experience a wine as old as the Gettysburg Address. jimmy_carnelliTippet has invited his close friend Jimmy Carnelli to provide entertainment for the evening. Carnelli grew up in a musical family and came to California in 1979 to pursue a career in entertainment. He started out as the drummer in a trio, and after the group broke up, performed freelance as a singing drummer. In 1996, he joined pianist Roger Williams and his band as a drummer and played with them for fifteen years until Williams’ death in 2011. In fact, the Vine 2 Wine Classic is the first time that the Roger Williams band will be performing together since Williams’ memorial at the Richard Nixon Presidential Library. Carnelli is a respected performer nationally and locally, having performed for the Elks Lodge, Zonta Club and other nonprofit events in Santa Clarita. “Anytime I can be involved in something that helps other people, I’m there,” he said. vine2wine2The Vine 2 Wine Classic promises to be an unforgettable evening and an opportunity to help people like Georgianne, whose husband lost his job during her battle with breast cancer, or Dorothy, who has been diagnosed three times.